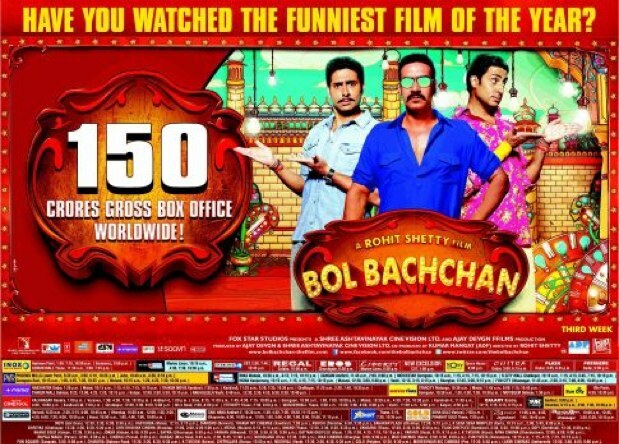 A month and a half after the film’s theatrical release on July 6th, Bol Bachchan has collected Rs 150 crores (gross) worldwide. Bol Bachchan is Rohit Shetty’s biggest grosser after Golmaal 3. Promotional poster below. @indicine: what is the collection of bol bachan in india? did it cross 100cr mark or not yet? And is it still running? 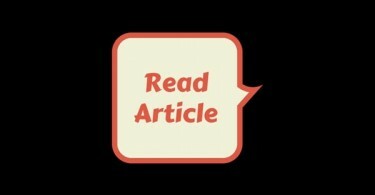 @indicine bt golmal 3 ki worldwide cllctns to 139 crore thi..so wo bol bachchan se badi grosser..hw..? Dont be sad Rohith Shetty. SRK will give you easily 200cr and Lifetime might be 250+cr Worldwide Grosser(Chennai Express). @Karan, even the All India gross was 145 crores (don’t confuse this with nett collections). Worldwide it did about 168 crores. @indicind team nd jeeva…thanx..my mistake..!! I’m very happy about the film has grossed 150 crores. Superb flim hai BOL BACHAN. AJAY DEVGN IS THE KING OF BOLLYWOOD.